One of the many issues with Google's latest messaging app, Allo, is the total lack of a desktop application. Picking up my phone to respond to a message, when I'm already at my computer with a physical keyboard, seems silly. Allo 2.0, released yesterday, added the ability to quick reply from the notifications. 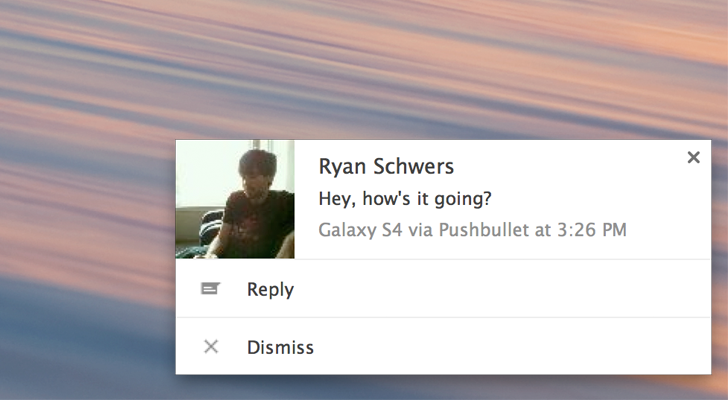 Today's Pushbullet update taps into the quick reply functionality to add Allo support. Once you have both Allo 2.0 and the latest Pushbullet update (v17.7) installed on your device, you should be able to reply to Allo messages on your computer. It's not a desktop Allo app, but it's as close as you can get right now.